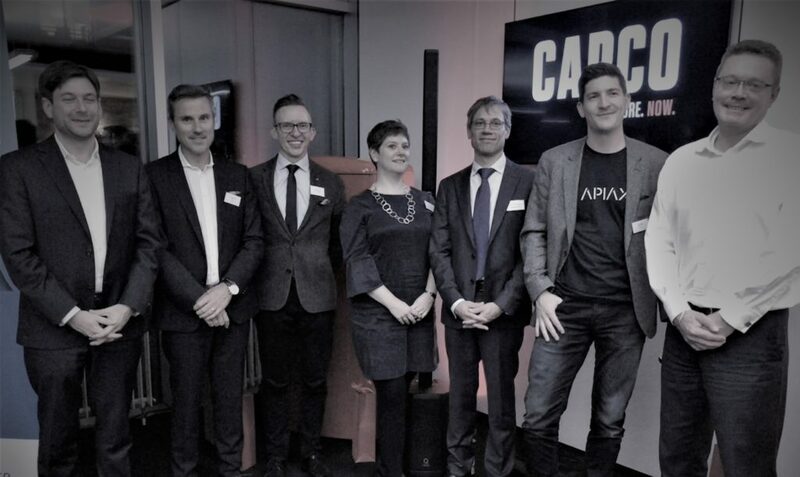 RegTech Associates took the Digital Regulatory Change topic on tour to Zurich at the beginning of November, for a lively evening kindly hosted by Capco. As with our event in London on the 15th October, our speakers covered a range of topics, largely focused on the challenges of digital regulatory change within the Swiss context, provided an insightful contrast to the UK market. Switzerland is often stereo-typically characterised as being a nation of rule-followers, so it was fascinating to learn from Olivier Favre (Partner at Schellenberg Wittmer) that the Swiss financial regulatory regime is largely principles-based. In the digital utopia of machine executable regulatory rules, principles-based regulation poses a significant challenge to the straight-through processing of regulatory change. However, it seems as if some promising initiatives are emerging in the Swiss market with respect to the automation of elements of regulatory compliance. Switzerland has a single, integrated regulator – Financial Market Supervisory Authority (FINMA) – which regulates and supervisors all sectors of the financial services market. Financial regulation is governed by a Level 1 or umbrella act, (Financial Market Supervisory Act) under which several other Level 2 statutes (ordinances) sit that apply to banking, insurance, financial market infrastructure and markets, collective investment schemes, Anti-Money-Laundering, mortgage bonds and auditing respectively. In addition, FINMA issues circulars and guidance which “clarify partially defined legal norms and define how FINMA will exercise its available discretion”. Guidance may also occasionally be issued, explaining how rules should be applied in practice and does not have the status of law. So, whilst ostensibly a principles-based regime, there is actually a large amount of text that needs to be understood and interpreted for financial firms to achieve compliance. In our discussion with financial institutions it has been suggested that looking to RegTech to solve some of the problems associated with the volume and complexity of regulatory rules was perhaps seeking a solution in the wrong place. Before regulated firms invest heavily in regulatory technology, isn’t there a case to be made for simplifying and reducing the number of rules in the first place? Asking fundamental questions about the future design of regulation is clearly important, but it does not detract from the very real problem of meeting today’s regulatory obligations. Indeed, Dr Ingo Rauser from Capco told us that Swiss banks where spending an increasing amount on this and it was expected to rise significantly by 2020. Ingo was also more pragmatic about the potential of RegTech, believing that the full value of using innovative technologies to comply more effectively and efficiently will be realised only by firms, regulator and RegTechs working together. Olivier indicated that FINMA is already making some progress towards the digitalization of regulation – for example, both the Level 1 and Level 2 regulatory Acts are now available in machine-readable format. Similarly, the Money Laundering Office of Switzerland (MROS) is in the process of implementing a new digital reporting system to allow suspicious activity reports (SARs) to be submitted on-line, replacing the previous analogue processes of submitting SARs by fax or post. Whilst perhaps not as sophisticated as some of the FCA’s RegTech initiatives, these two examples indicate that the Swiss regulatory environment is open to technological innovation. What next for Switzerland and RegTech? From the panel discussions, it appeared that RegTech firms operating in Switzerland are facing more sceptical customers than those in the UK. However, Ralf Huber, Co-Founder of Apiax remained undaunted, suggesting that we need to balance the risks and fears associated with the use of RegTech today with the inability for human endeavour alone to control risks in the past, echoing the theme from our event in London that it is the combination of machines and humans that will reap the most benefits. The perceived risks may pose a practical barrier to the widespread adoption of RegTech in Switzerland for the moment, but this is likely to change rapidly, given the willingness of FINMA and MROS to adopt digital technologies. We will be continuing our International Digital Regulation series in London on 11th December, with the first of our sessions on Digital Regulatory Reporting. We would very much like to thank Capco, our lead partner and host for the event as well as Apiax and Kompany for their additional support. We would also like to thank all our speakers and panellists without whom the event would not have been such a great success. Previous Post Digital Regulatory Change – it’s magic! Next Post Digital Regulatory Reporting – It’s only rules, data and execution – are we finished yet?